402,50 € прибл. 28.968,69 руб. The MEINL Floatune Tuning System is a true and unique MEINL innovation. All mounting hardware is completely isolated from the shell. This avoids the need to drill through the shell and mount hardware with bolts, which reduces the resonant vibrations of the shell. 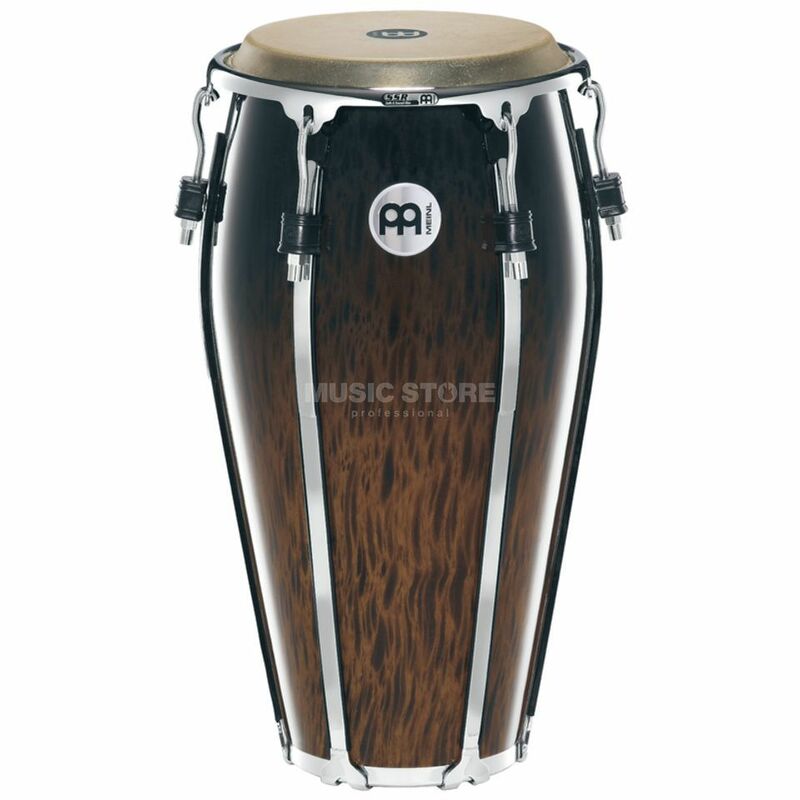 The Floatune Tuning System tunes up just like lug-equipped congas, only with an improved sound. Features: Floatune tuning system 10 mm strong tuning lugs 4 mm rounded SSR-Rims incl: MEINL Conga Saver (patented) MEINL soundpads accessory pouch tune up oil !!! 3 years Music Store warranty !! !